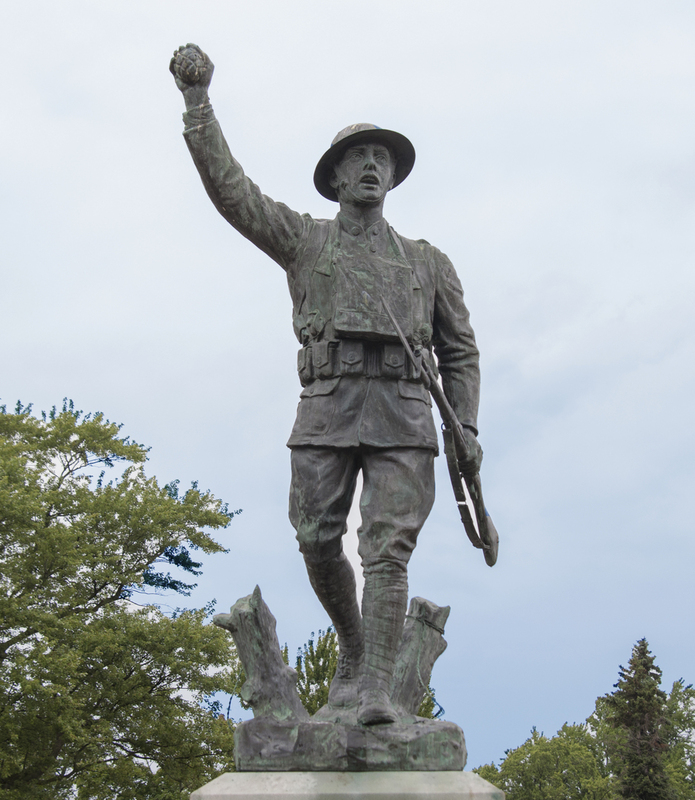 This monument depicts a World War I soldier striding forward holding a rifle at waist-height in his proper left hand with a grenade help high above his head in his proper right hand. 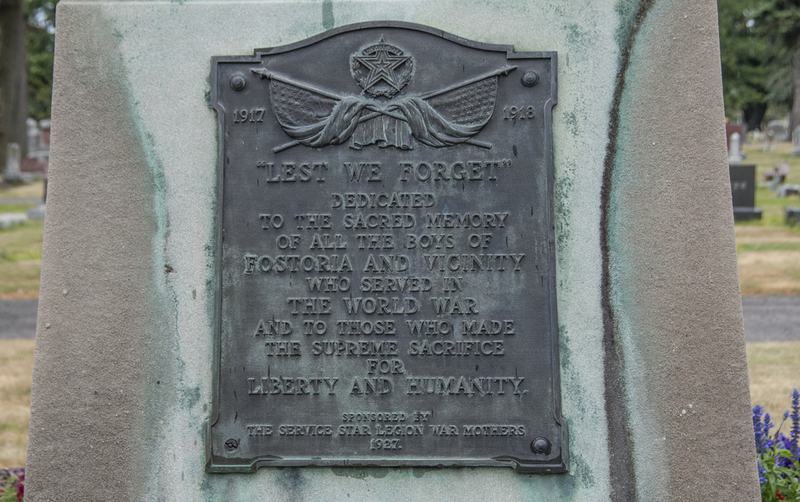 The statue once stood on the grounds of the old Fostoria High School where it was dedicated November 11, 1927. 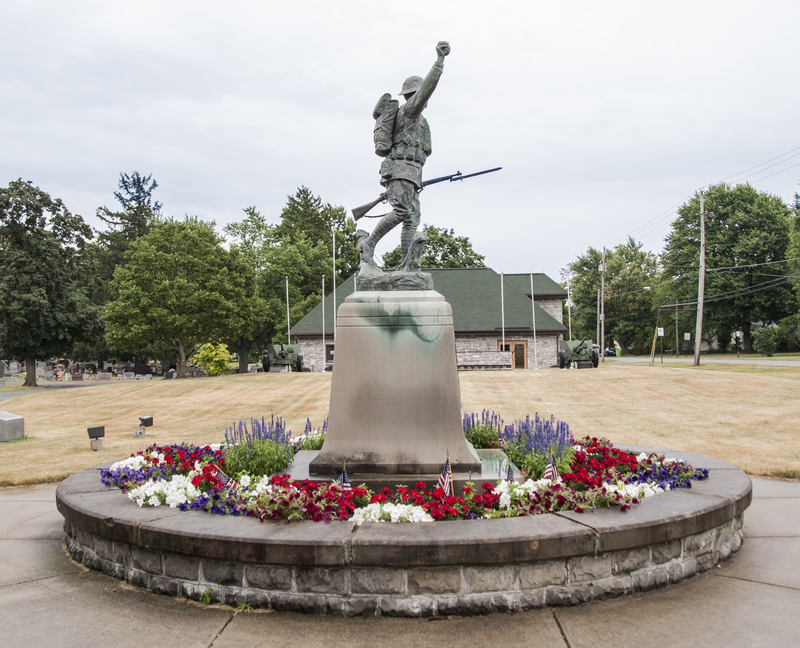 In 1969, the Doughboy and its pedestal were moved by moving contractor Ludwig Berwick to Fountain Cemetery and placed inside a circular stone area containing flowers. 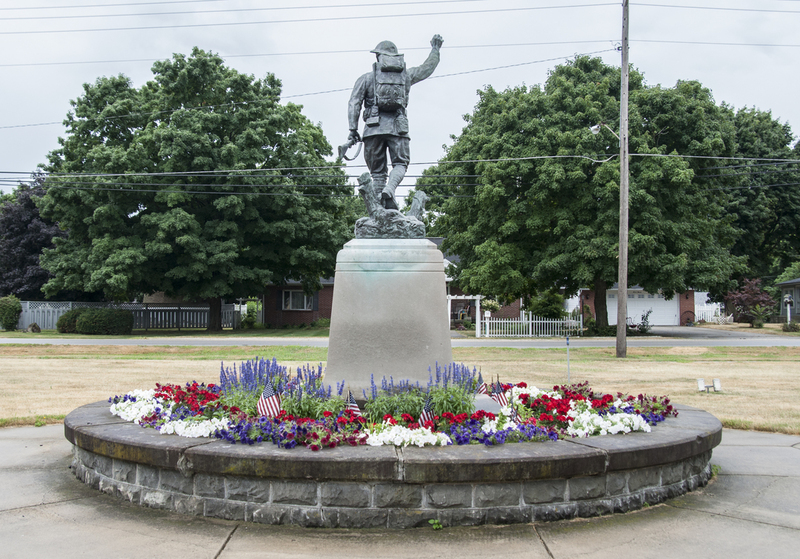 Damages were repaired, the bayonet was replaced, and the Doughboy was rededicated May 30, 1969. 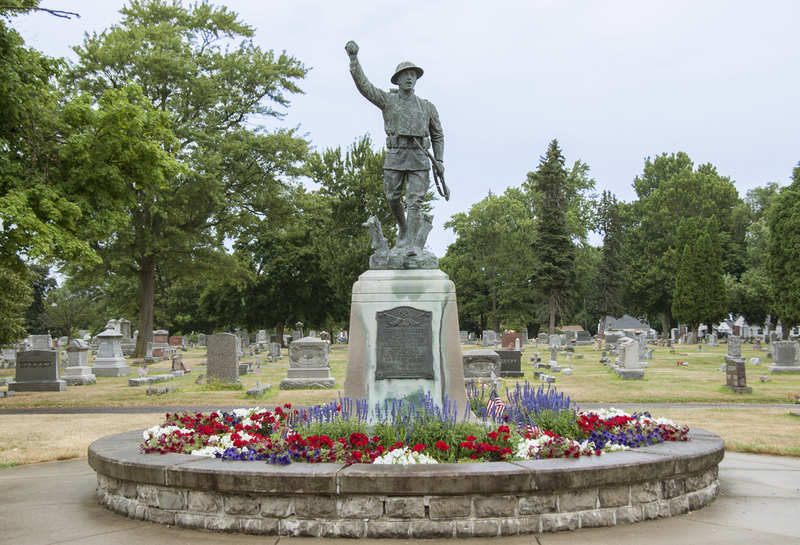 The Doughboy received reasonable maintenance at the cemetery, but the years of exposure to the elements took their toll and a major restoration fundraising campaign was undertaken in 1995 to obtain donations of citizens and of Veteran, Fraternal Civic and other organizations. 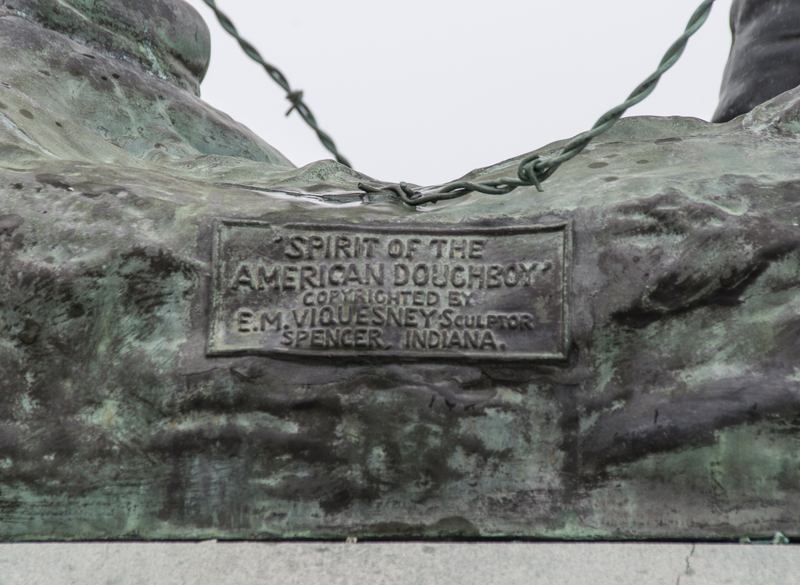 The restoration was performed under the supervision of Tom Podner, McKay Lodge Fine Arts Conservation Laboratory, Oberlin, Ohio. 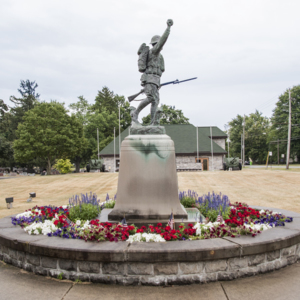 The sculpture was re-dedicated on November 11, 1996. 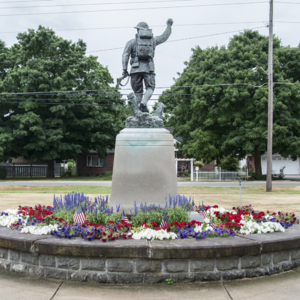 One of the highlights of the restoration project was the participation of Albert Thomas, who had served in the European trenches during the war, and was Fostoria’s only surviving World War veteran. 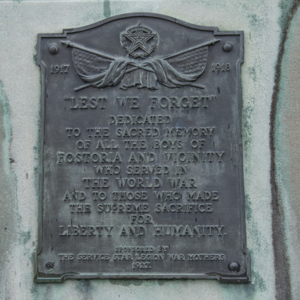 He was 100 years old at the time he attended the re-dedication. 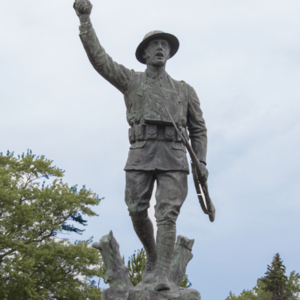 He had served at Chateau-Thierry France, near Ypres, Belgium, and in the Battle of the Argonne Forest. 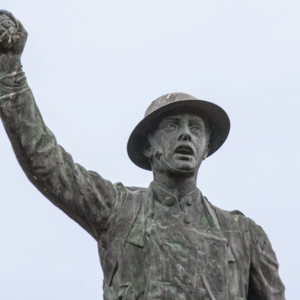 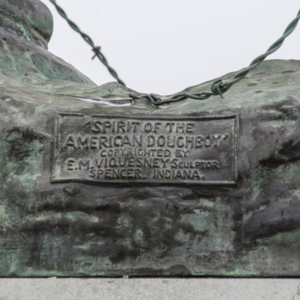 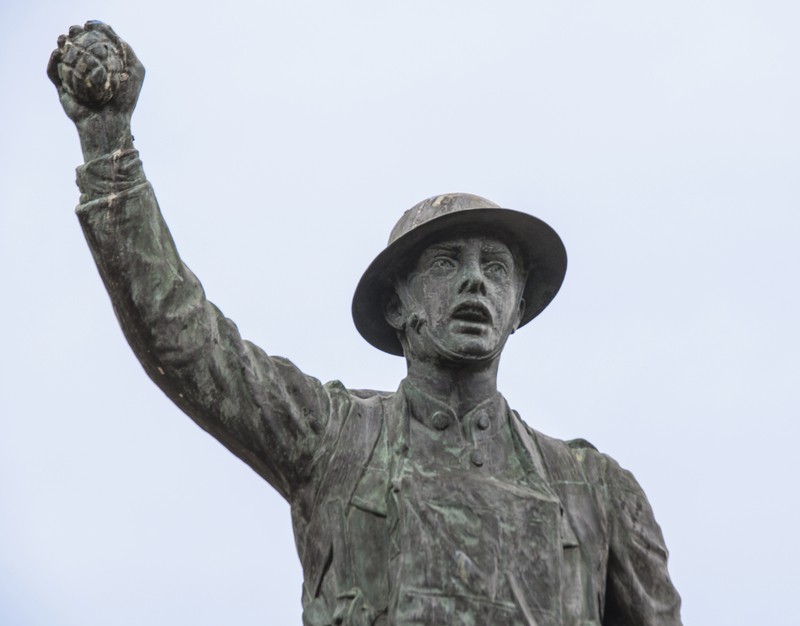 : E. M. Viquesney, “Spirit of the American Doughboy,” Ohio Outdoor Sculpture Inventory, accessed April 18, 2019, http://oosi.sculpturecenter.org/items/show/1549.